This entry was posted in assault weapons, Deb Fischer, debt, deficit, Deficit spending, fiscal irresponsibility, fiscal policy, fiscal responsibility, Jack Heidel, mass shootings, Uncategorized and tagged assault weapons, cutting spending, Deb Fischer, debt, deficit, fiscal responsibility, jack heidel, mass shootings by jackheidel. Bookmark the permalink. I don’t want to take away guns (except for the mentally ill) from anyone, I want to ban the purchase of assault weapons. Really, is there an insurmountable conflict between supporting the 2nd Amendment and curtailing mass shootings? Mr Heidel: You will not unseat the incumbent based solely on your stance against the 2nd Amendment (I know, you are not against the 2nd Amendment). What you fail to realize is that The People see right through any politician that tries to claim they are “Gun Owners” that “Support” the 2nd Amendment yet in the same breath talk about banning a firearm that kills far less people than other inanimate objects to include hands. All the while, completely ignoring ANYTHING and EVERYTHING that take more lives because “mass shootings”. It proves one or both of the following: A) you are completely ignorant to facts or B) you dont really care. So-called “mass shootings” victims pale in comparison the number of victims killed everyday on the streets in inner cities. Not one single politician cares anything about any of those lives lost or “curtailing ” those mass shootings and “ban assault rifles” because “mass shootings” proves it. You’re not getting my vote. I wish you’d reconsider. We’ve got to do something effective to curtail mass shootings. The point is that mass shootings are preventable with just a little common sense. Yes they are. It is called a good guy with a gun. Let’s enforce the laws we have and make punishment a lot more severe for the criminals violating those laws. Yes, there are lots of good guys with guns. But there are also bad guys with guns who are committing mass shootings. More severe punishment won’t stop them. A ban on assault weapons will. When a politician says a problem is preventable with a little common sense, my reaction is to not trust that statement for two reasons. We can reduce mass shootings but the idea that we will prevent them all is utopian. I don’t trust claims that we can make the world perfect. Primarily, I have no idea what “common sense” means to you. If you can’t put your ideas on how to reduce mass shootings down to specific, clear proposals, which is what is required in legislation, then I can’t support you on that issue. If you are willing to put down specific and clear proposals and defend them in a conversation, then you might get my support. Being a good legislator requires hard work and research. One line answers might work in campaigns for some people, but not for a lot of us. Okay, I was unclear, I mean that mass shootings are curtailable, not totally preventable. I want to ban the purchase of the most harmful semiautomatic weapons, which I refer to as assault weapons. To me, defining exactly what this class of weapons includes is a technical issue and I will defer to others to make a careful list. It is appropriate for political candidates to talk about potential legislation in a conceptual sense without laying out specific details. Drugs illigal,they have not decreased! 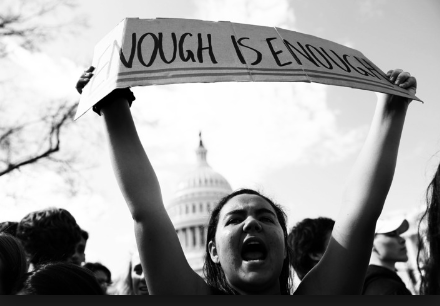 How do you justify a gun grab?The very fact that you as a prospective candidate want gun control was the original reason for the 2nd…..
Banning the purchase of assault weapons is not a gun grab. It’s an attempt to curtail mass shootings. Can you think of a better way to do it? The federal assault rifle ban put in place in 1994 to 2004 made such an insignificant reduction in violent gun crime that the government let it expire instead of prolong it. After it expired violent gun crimes decreased. District of Columbia v Heller also affirms the right of the people to keep and bear arms in their ruling. Also United States v Miller protected guns that are in common use at the time. A ban on semi auto rifles will not be feasible and will only be an attempt to restrict the rights of law abiding citizens. Thanks for the statistics. I am certainly no gun expert. I just want to curtail mass shootings. In Parkland and Las Vegas the guns used were rapid fire and that is why so many people were killed. Somehow we need to keep rapid fire guns away from the wrong people. Let’s work together and figure out a way to do this. It’s the right thing to do. I am a supporter of Jack Heidelberg and will remain so despite my disagreement with his position on so-called “assault weapons”. (Assault weapons are weapons capable of automatic or burst fire, typically employed by the US military, or these days, law enforcement agencies in certain situations.) Because it LOOKS like an M4 doesn’t MAKE it an M4. That said, I’m not a single issue voter, and the majority of Heidel’s positions are much closer to my own than any liberal or conservative candidate in quite some time. Jack, I encourage you to reconsider your stance on an “assault weapon” ban. I know it might seem like an effective solution on the surface, but it completely ignores all the underlying problems. It is treating the symptom rather than the problem… no different an approach to how politicians treat almost every issue… applying band-aids over festering wounds. Still have my vote though. Pretty spot on on just avout everything else. Thanks, DE, I appreciate your support. Keep in mind that what I want to do is to curtail mass shootings, not be a “gun grabber.” If all sides would come together and admit that this is a serious problem, I believe that we could make real progress in addressing it. Stricter background checks will help somewhat and so will improved mental health treatment. But I suspect that too many potential perpetrators will still fall through the cracks. This is why I support some sort of restrictions on rapid fire weapons. But let’s have a public discussion on the least onerous way of doing this. I don’t claim to know what the answer is, just that there is a real problem which must be addressed.